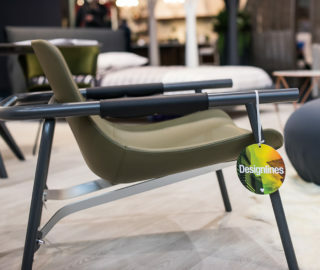 Throughout Toronto Design Week, we awarded the top 100 products (& other cool stuff) we spotted with our custom Designlines Loves tags, specially designed by Sali Tabacchi. Below is the sixth batch of designs that caught our attention. Keep track of everything we tagged in our master list. 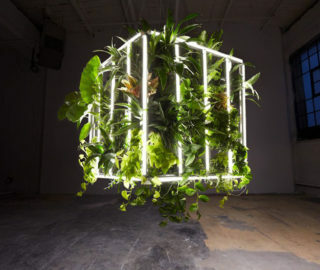 As part of Come Up to My Room, the Gladstone Hotel’s fourth floor is filled with installations curated by Montreal’s Galerie Youn. 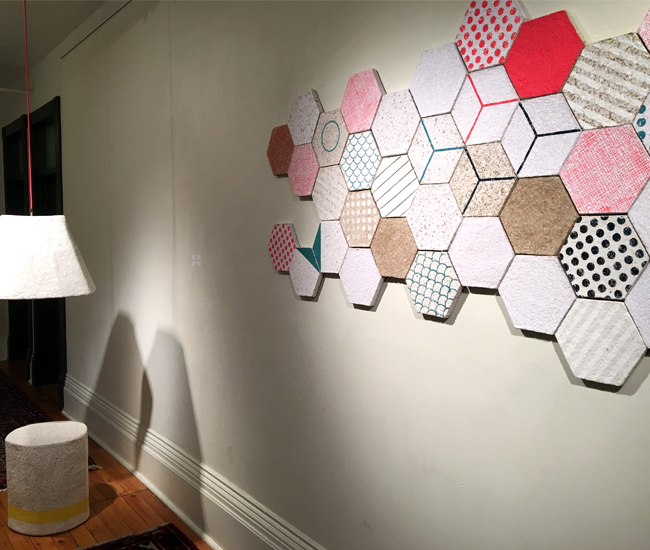 Three artists of different disciplines and sensibilities are brought together by a shared medium – paper. Shown here is but a part of Dear Human’s contribution: stools, light shades and wall tiles made from pulp. 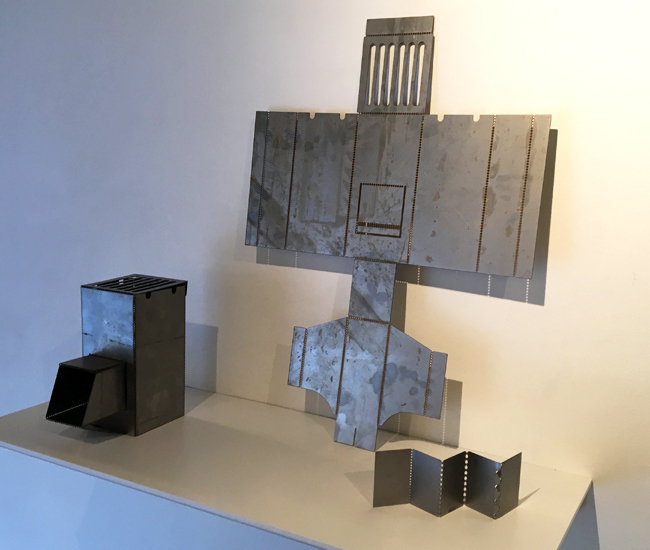 Other works featured include Christine Kim’s light-bouncing constellation of golden, geometric constructions and Jay Dart’s narrative illustrations. 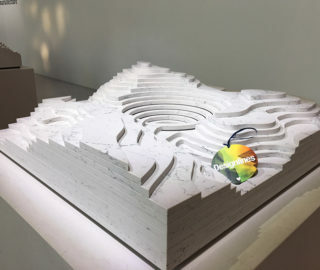 Breath, a collaboration between architecture firm Uufie and students from Ryerson’s School of Interior Design, is simultaneously very natural and very architectural. 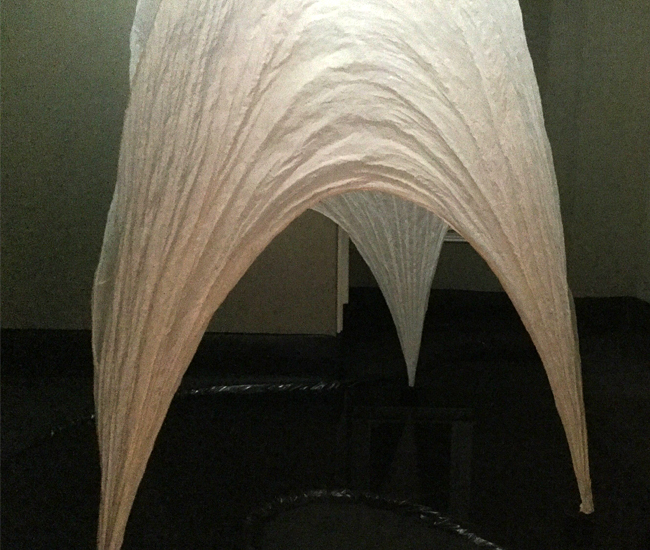 The sculpture is made from a sheet soaked in a glue solution and dried upside down, which naturally forms a perfect structural arch. The single, very fragile component is so large, it had to be made in the room. 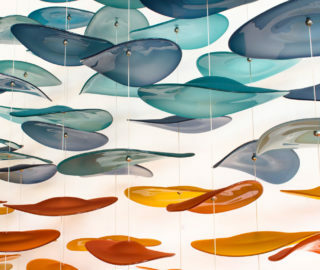 Ripple, shown in the Ryerson Artspace as part of Come Up to My Room, is an interactive delight. 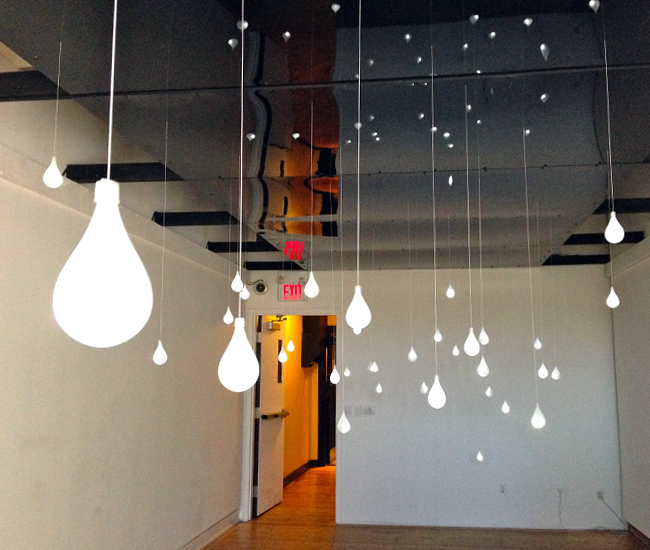 Each of the installation’s tear-drop lights can be gently pulled, triggering a note from a keyboard, hidden above, to play. With enough people in the room, you can create a concert. Designer Brent Cordner has a Kickstarter campaign to get his Airplane Stove not just into production but shipped out ASAP to relief agencies. The small wood stove ships flat and can be folded on site to provide so many in need with the ability to cook and purify water. Well done, sir. 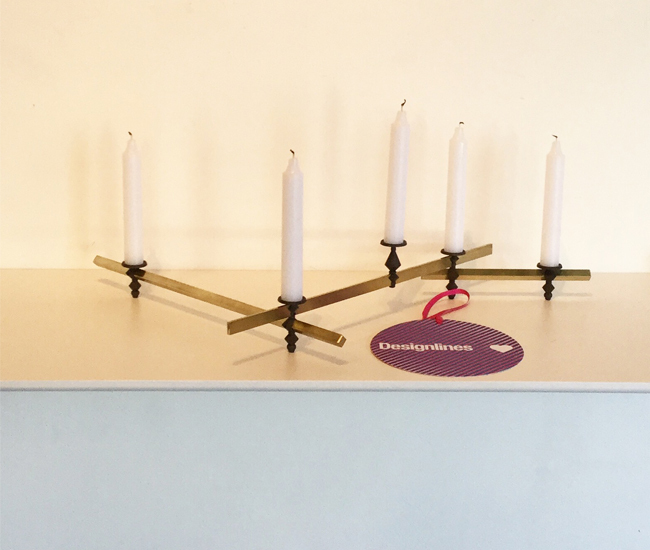 Rob Southcott‘s Bridge candelabra is one of the standout designs featured in the food-themed Smorgasbord exhibition at James Contemporary. 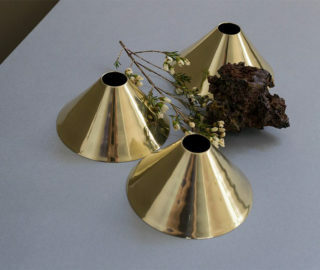 We like the contrasts here, between polished brass and rough blackened steel, and between the rods’ straight lines and very ornate shapes of the connectors. The precision with which they fit together feels very meticulous (the joiners are very delicate looking), even while the placement is haphazard. 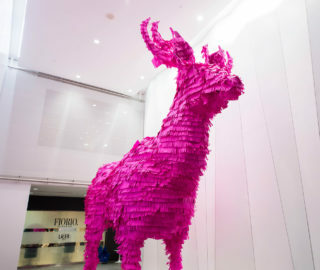 It would be great to see this built really high and wide – it could make for a very impressive centrepiece. 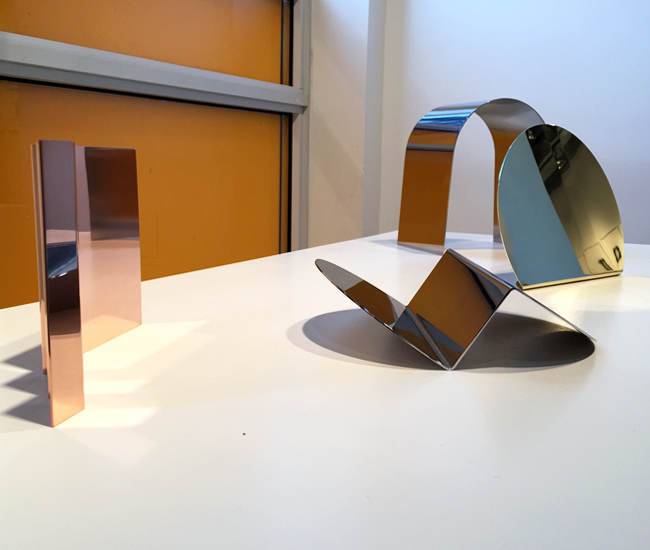 On display as part of the “In Series” exhibition at Propeller Gallery, Nina Cho‘s playful Bent Mirror Series explores the concept of multiples. There’s a nice conversation taking place between the four shiny sculptures, and it’s fun to see how they draw attention to and distort elements of their surroundings. “In Series” also gave us a chance to observe creative process. 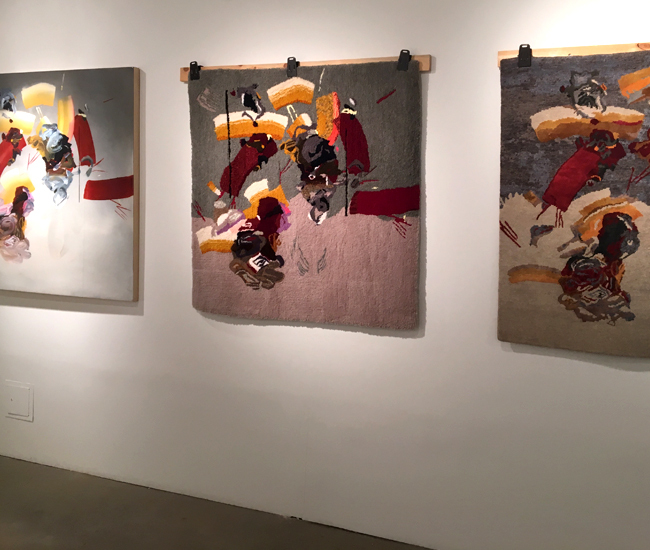 The Big Swoop by Watson Soule guides the viewer from original abstract painting to its translation in hand-tufted New Zealand wool and silk (made in Nepal) to the finished result: hand-tufted New Zealand wool (made in Canada). The end result is gorgeous, and makes you think about geography, cost and quality. Raise a toast to Leonia, a beer keg-turned-luminaire by SUMO Project. Thirty are available from Inabstracto, while forty others will make their way into the future Kensington Brew House. 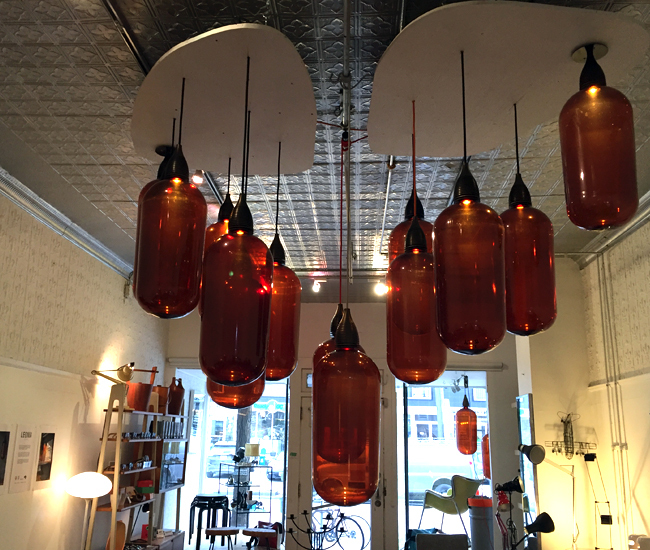 We think the fixture is a great way to give something disposable new life. 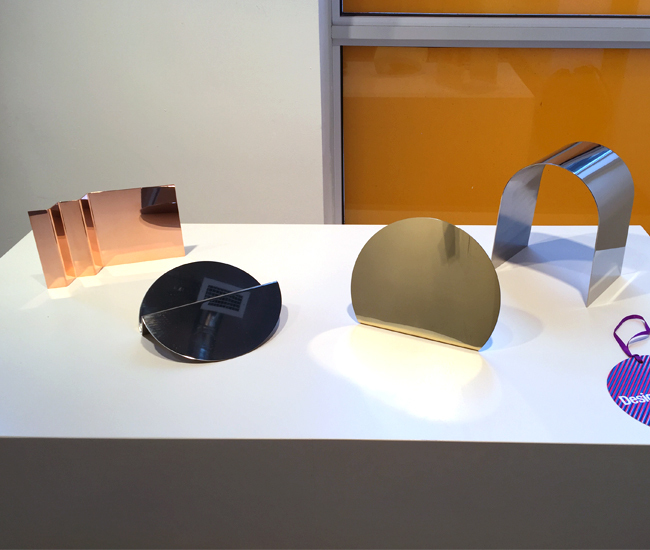 Curated by Melanie Egan, Harbourfront Centre’s “Last is First” exhibition by Heather Goodchild and Naomi Yasui includes many fun riffs on the relationship between objects and art. 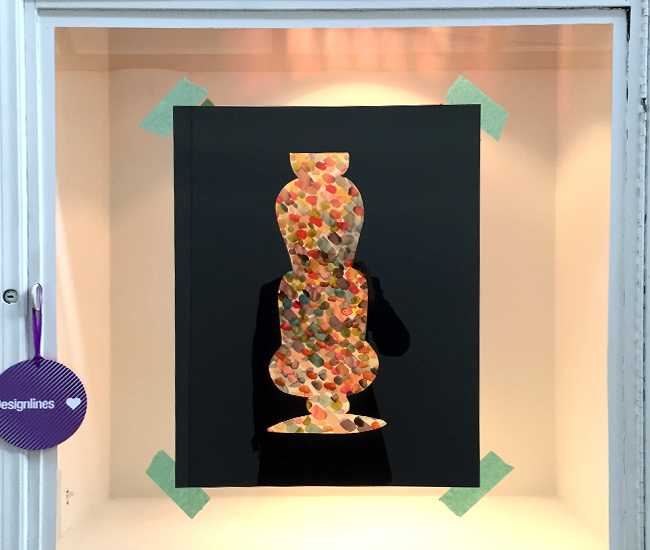 Here, a sheet with a vase-shaped cut out is taped over a display case that holds a polka dot-patterned painting. Another display showcases fruit bowls and vessels that have acted as still life subjects for painters. 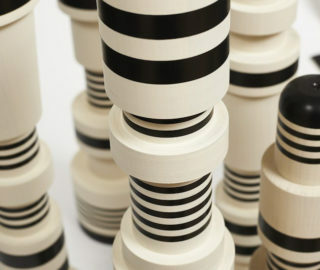 Lubo is one of our favourite designers to check in with. In 2009, we reported on his massive tables carved from reclaimed wood; a few years ago we remarked on his interest in wood economy, as in barn construction; and last year, we saw some of his experiments with steam bending. We continue to be awed by the master woodworker’s body of work. 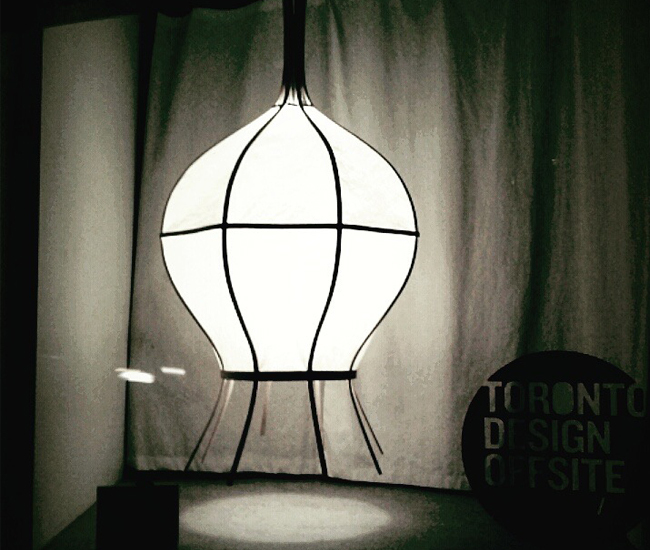 This mesmerizing light fixture couples steam bent wood with handmade Japanese paper. 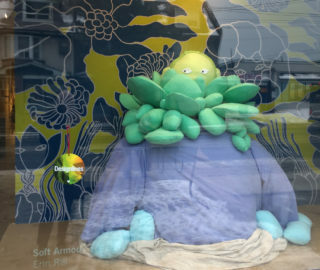 We loved artist Lido Pimienta’s installation, Adult Toys. Simple wooden structures invoke ideas of child’s play, iconic architecture, and stability. 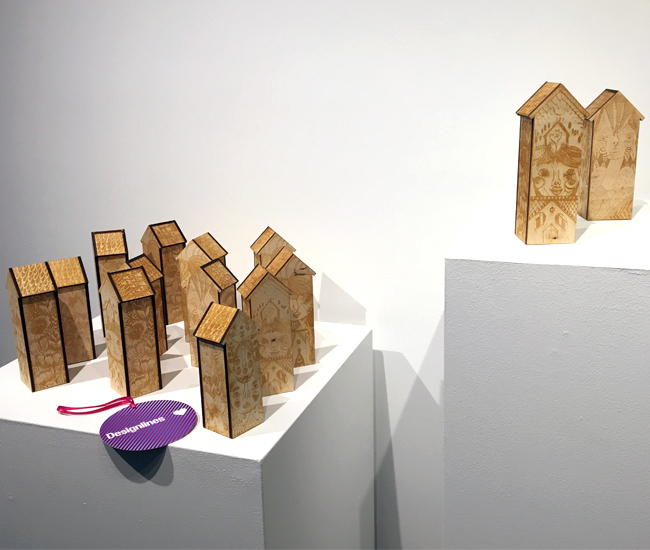 Embossed with figures, facial expressions, buildings and foliage, the dollhouse-like multiples are maybe familiar, at first glimpse, but upon further inspection: not so much. 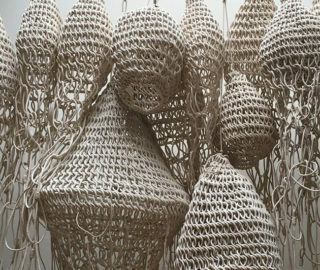 The work speaks about the difficulty to grasp Canada’s past and present relationship with Indigenous peoples. 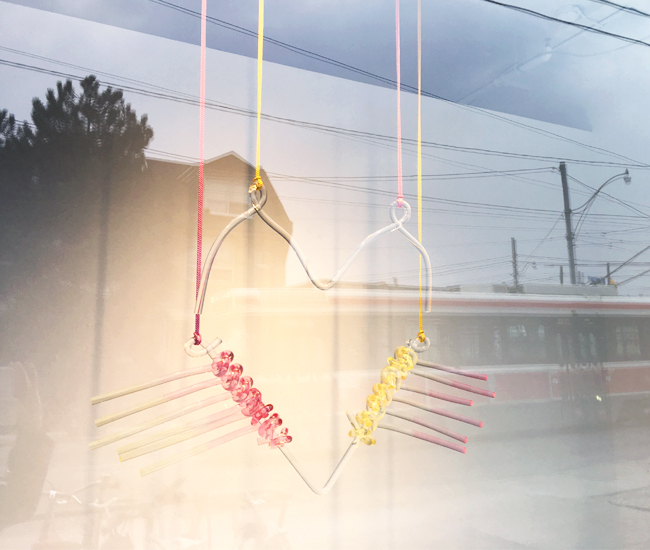 On display in the front window at Xpace Cultural Centre, Love is… Plastic by artist Corey Moranis is well-executed, provocative and apropos as we traipse across the city considering product. Her acrylic piece questions the “more is more” mantra. 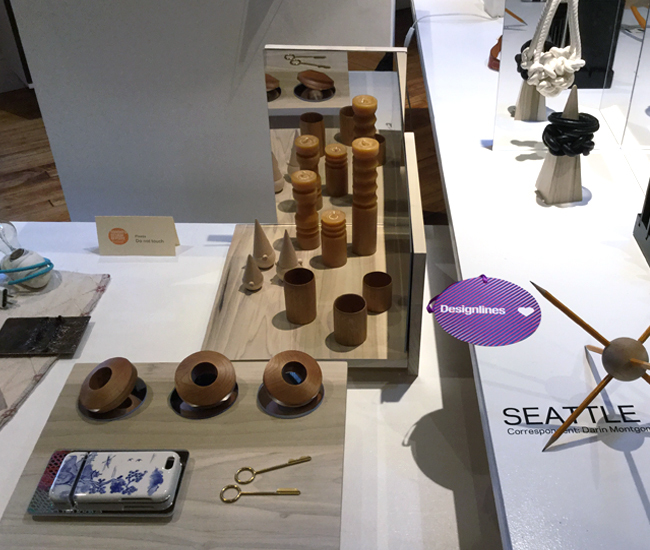 The Seattle Outside the Box collection of wares by west coast designers included many warm, simple but sophisticated goods. We especially like the porcelain iPhone case and the keys – both designed for use in the modern world but imbuing their use with a 19th century feel. But everything is great! Organized by WantedDesign with the Toronto Design Offsite festival. 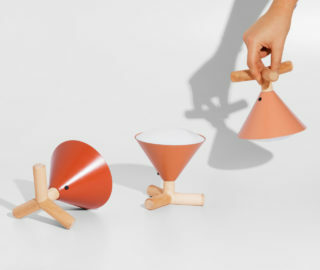 348Studio’s study lamp is a sophisticated material mash-up. 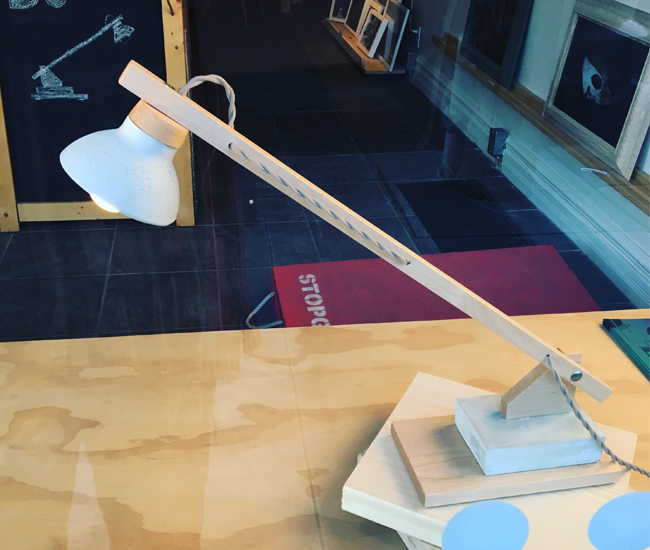 The slender, crane-like light brings together the industrial and natural: wood, concrete, cotton-twisted electrical wire, sterling silver, cork and porcelain, all fabricated and assembled by hand. 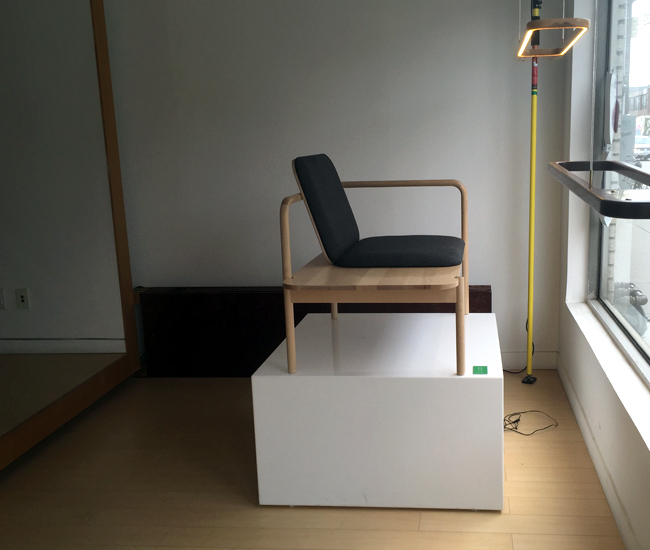 Nathan Clarke’s Reed chair is handsome and super-functional, with an integrated side table for coffee cups, books etc. Recent Sheridan grad Cassic Ho took inspiration from Borge Morgensen’s 1950 Hunting Chair to design this Huntress Cosmetic Table. 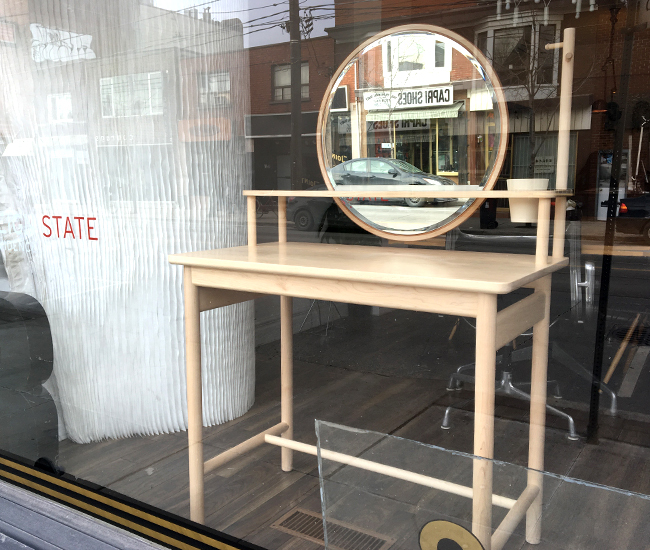 The multi-functional vanity, featuring solid maple, a mirror, ceramic cup and vegetable-tanned leather, was displayed in the window of Sovereign State as part of Do Design. 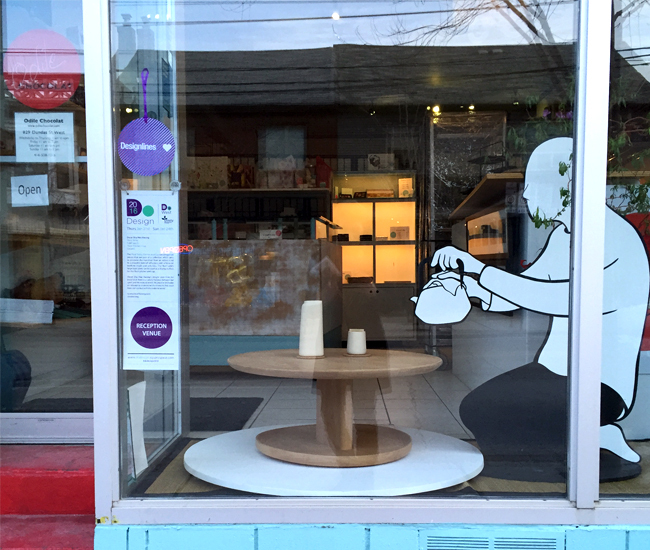 Oscar Kwong‘s elegant Rest trio includes a beechwood table and ceramic pitcher and cup, all designed to promote peaceful reflection. The designer gets bonus points for presentation. We love how he’s staged this display with a character.